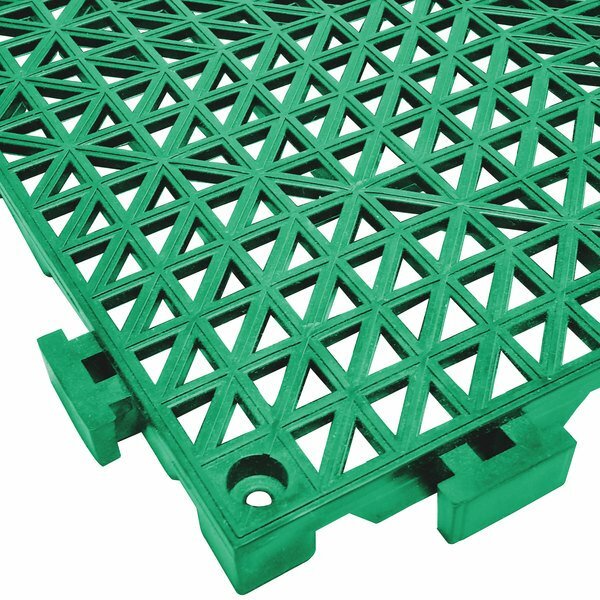 The Cactus Mat 2557-GT Poly-Lok 12" x 12" green interlocking drainage floor tile provides excellent slip-resistance against wet floors in showers, industrial areas, animal cages, pools and spas, locker rooms, horse stalls, and other wet areas! Its recycled PVC construction is durable and boasts an open-grid design that drains water quickly. UV-stabilized and fungus-resistant, this tile is not affected by heat, cold, or sunlight, making it suitable for indoor or outdoor use. 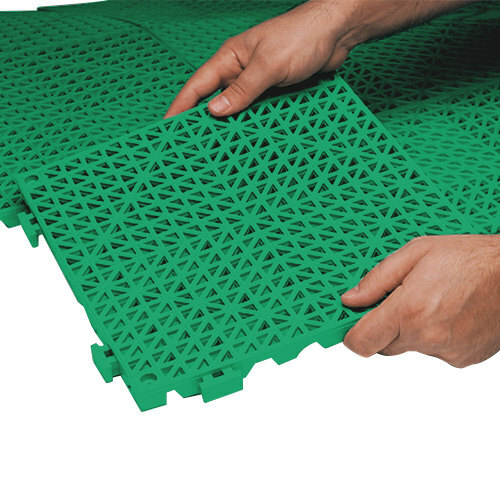 This interlocking tile can be cut to size and connects easily to other tiles, corner ramps, or edge ramps to create a fully-customized surface in any room or around any obstacle.